2012 has been a big year for any fan of Air Jordan’s, with plenty of classics with holy grail status popping up at least once a month. 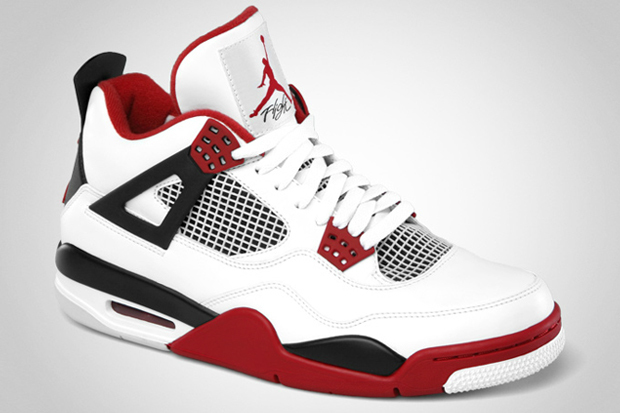 Most notably this year has seen a focus on the Air Jordan IV, one of the most coveted shoes from the more favoured earlier Air Jordan models. The build up of excitement around the Cement and Military Blue IV’s has been and gone, but this next reissue of the White/Fire Red IV keeps that momentum in full swing. We’re guessing that these are pretty much a similar affair quality wise to the Cement’s and Military Blue retros, which isn’t so bad at all. It’s pretty futile dwelling on how the quality matches up to past models, so we’re going to stay positive and be grateful that shoes of this stature are so widely available. Most of you know, you’re not just buying a shoe here, you’re buying a piece of basketball history that reminds us of a legacy unparalleled in the game today. The IV has been favoured on these shores for a long time, and it’s no wonder why. This is one of the most amazing shoes ever, no wrong can be done when putting on a pair on (unless you switch up the laces to a nasty colour or something) and this specific retro (and the IV in general) seems to symbolise Michael Jordan in a way that other models don’t quite capture. 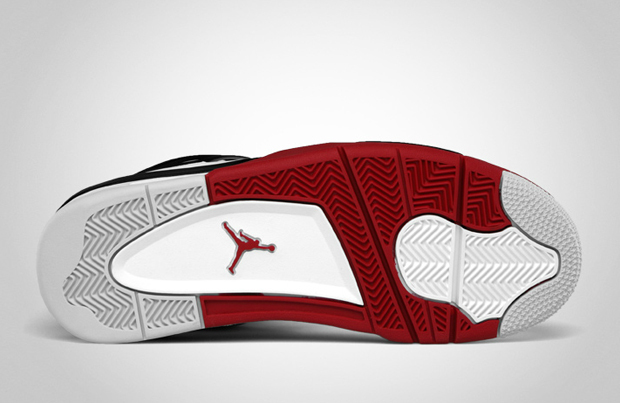 The white/fire red colour-up is one of the best out there, with a slick balance of the Bulls team colours that compliment each other throughout the shoe. It’s a unique colourway indeed and we are so stoked to see it back. 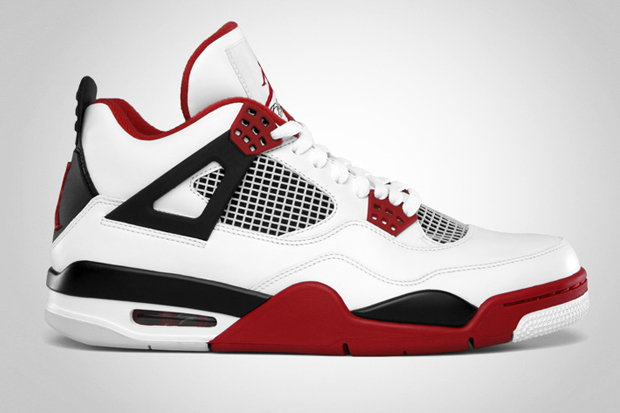 Stay tuned for more info on the Black/Red (Bred) IV’s later this year, which finishes up the IV rollout with a bang. These will be dropping online at stores like Urban Industry, End, Crooked Tongues and SoleHeaven from midnight on Friday August 3rd, and in stores from Saturday 4th.